Gorgeous views and country living at its best. 12.75 acres on Monkey Mountain. It is next to 1,582 acres of the Monkey Mountain Conservation Area.The home is approximately 2,148 Square feet. Four bedrooms and three full baths. Hardwood flooring throughout the main floor.The basement has all new, beautiful wood look porcelain tile in the family room, bathroom, and fourth bedroom.The upper and lower levels have sunrooms that look out into the timber.It has a large yard and several outbuildings. 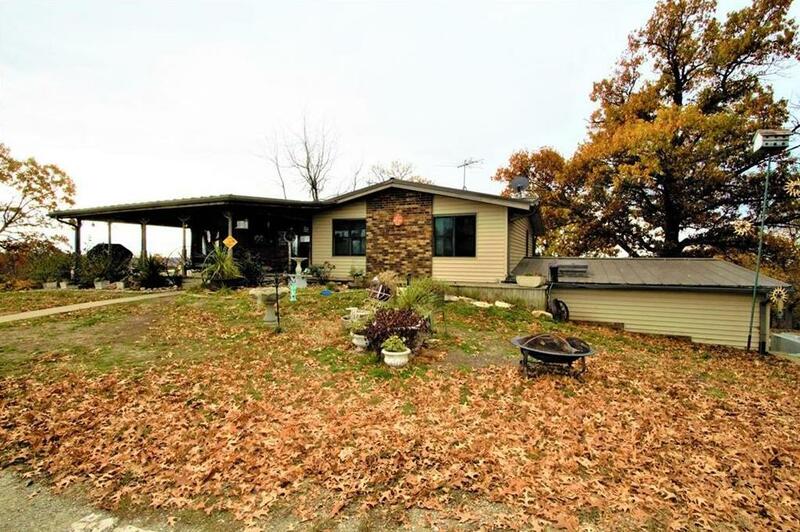 37821 Holt 340 (MLS #2137139) is a other single family home located in Amazonia, MO. This single family home is 2,148 sqft and on a lot of 555,390 sqft (or 12.75 acres) with 4 bedrooms, 3 baths and is 41 years old. This property was listed on 11/01/2018 and has been priced for sale at $289,900.